HangUp complements the already well-known LightBag© series. Alone or suspended groupwise funny light installations can be made up that lighten living rooms or entrance areas in a stylish and original way. 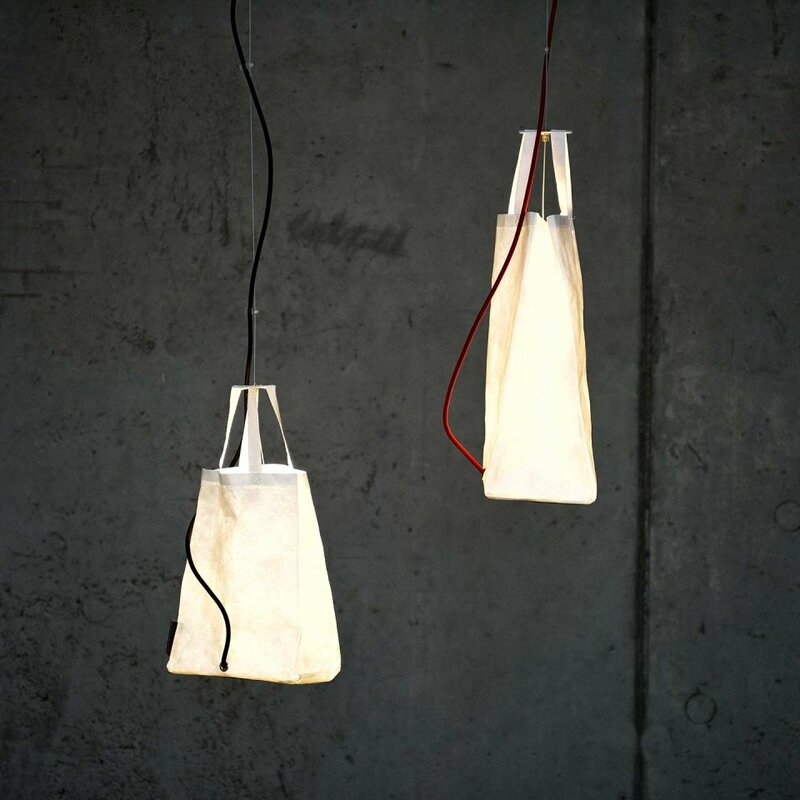 LightBag© HangUp is available in the sizes ‚small’ and "large". For power cord colors white, orange, red, black and green can be selected. 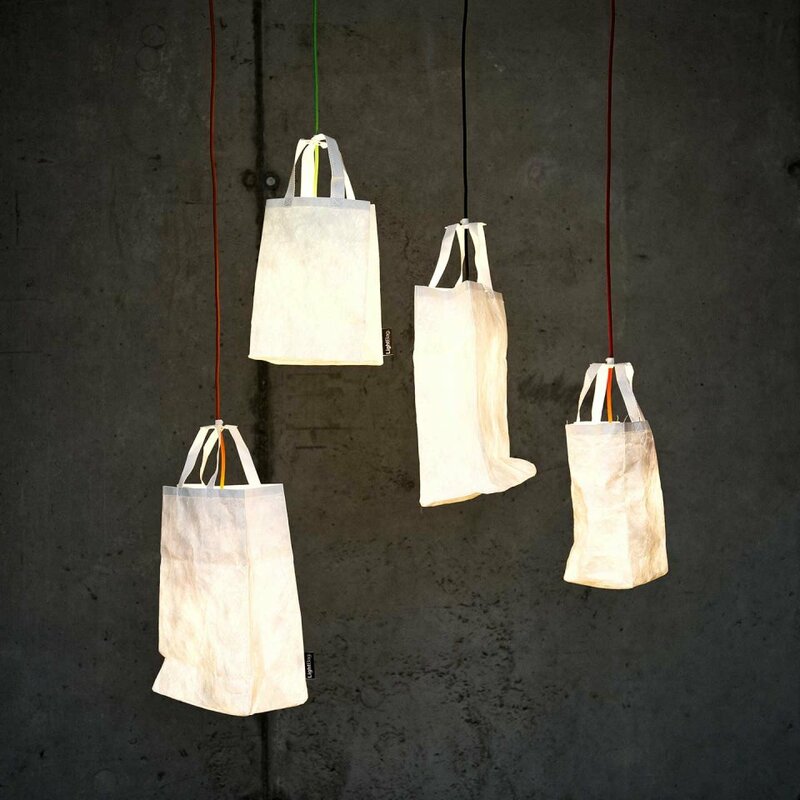 LightBag© HangUp comes with an 11 Watt energy-saving LED bulb in warm white (2700K). 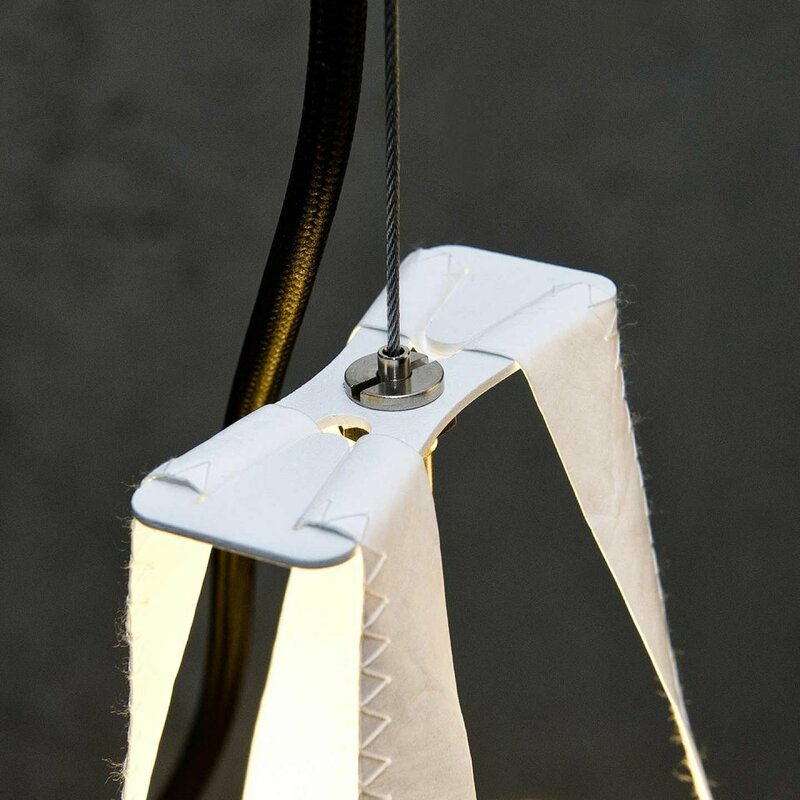 In addition to the standard LightBag© a hang-up kit is available, consisting of a steel cable and a stylish ceiling canopy. 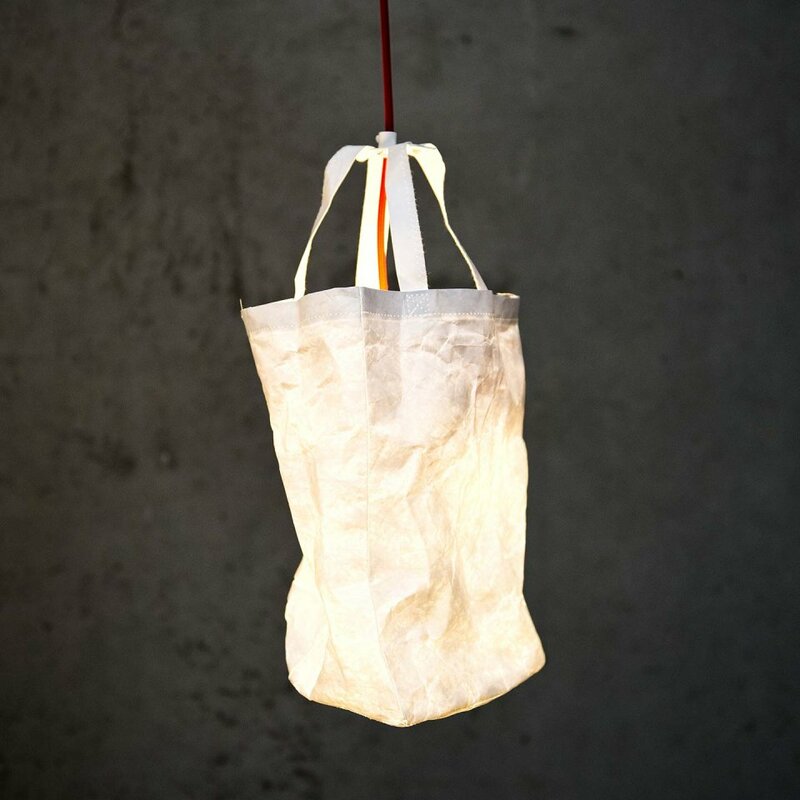 Thus, the known LightBag© can also be used both suspended and standing.